Tucson, AZ, WPH Press, 4/25/17- The 2016-2017 Race 4 Eight 6 concluded with its seventh and final event at the Race 4 Eight Player’s Championship in Salt Lake City on the third weekend in April. Killian Carroll made the most of his five R48 6 starts, picking up three wins, a second, and a third-place finish. David Fink skyrocketed from #8 at the end of last season to #2 on the heels of three R48 6 finals, Luis Moreno returned to the top three with a stellar season that included a dominant victory at January’s Plummer Bash, Mando Ortiz started the season with a second and first at the Simple Green U.S. Open and Minnesota, respectively, and added top seven finishes in New Orleans and Salt Lake City to finish fourth, Sean Lenning did not allow an injured shoulder to derail his season, finishing third, seventh, and fourth with his injury and finishing the season at #5, while Luis Cordova jumped from outside the top eight in March to tie Lenning at fifth by finishing third and second in the final two stops of the season. Emmett Peixoto and Daniel Cordova finished the season tied at seventh. 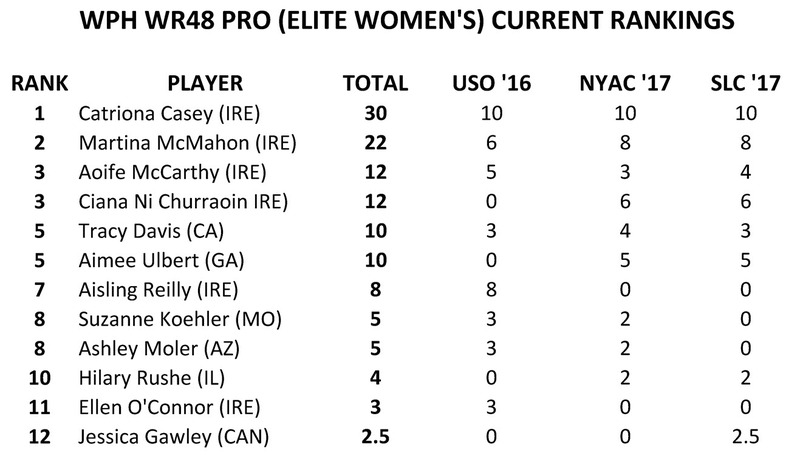 Catriona Casey dominated the WR48 for the fourth straight season, sweeping all three events for the third time in four seasons and leaving no doubt who is the best women’s player on the planet. Martina McMahon advanced to two finals and one semifinal in three starts, earning 2M the #2 ranking. Aoife McCarthy achieved her best career WR48 ranking at #3, and was joined by her countrywoman Ciana Ni Churraoin at the #3 spot. 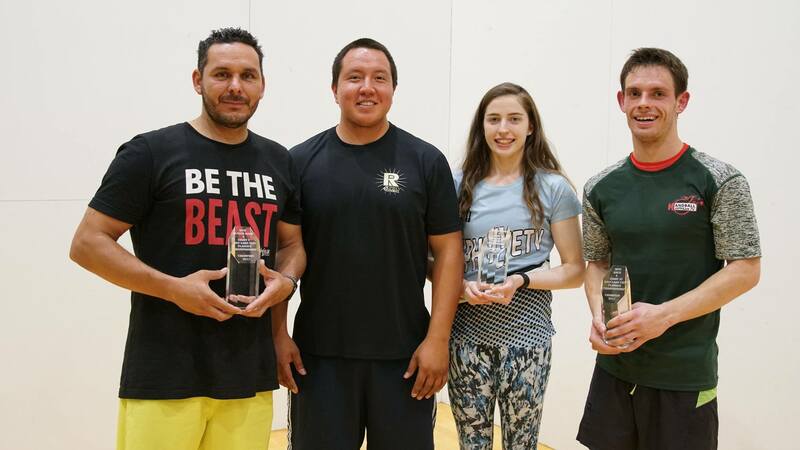 Marcos Chavez completed the first undefeated SR48 season in the five-year history of the tour, winning all three SR48 events of the season and losing just one game in nine matches. 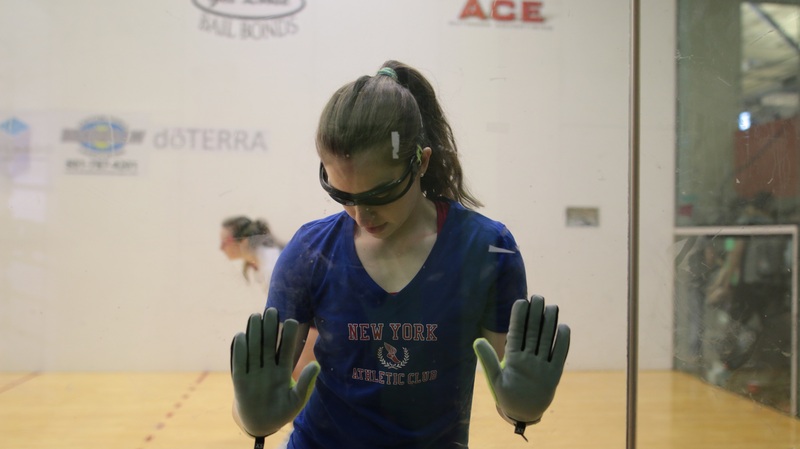 Dan Armijo finished third in all three of his SR48 starts, earning him the #2 ranking. 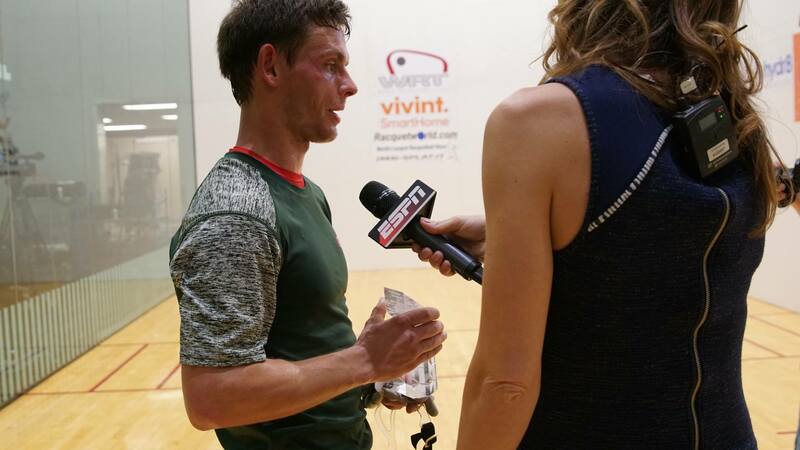 Two-time SR48 finalist Naty Alvarado finished the season at #3, while Chris Watkins jumped into the #4 spot with his finals appearance in Salt Lake City. Check out all of the season-ending Race 4 Eight rankings below. 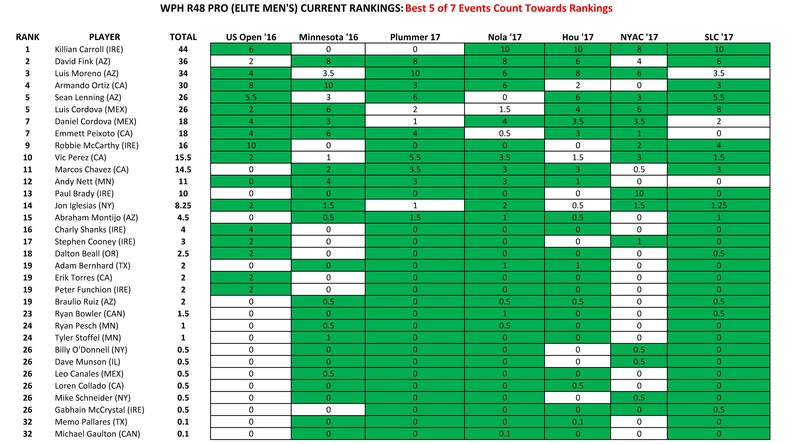 Tucson, AZ, WPH Press, 4/25/17- Check out every main draw and playoff record of every player in the 41-event, six-year history of the Race 4 Eight Men’s Pro tour. Luis Moreno leads the way with 94 match wins, with Sean Lenning sitting at second with 80 match wins. Thank you to WPH Senior Statistician Dr. James Bardwell for tracking the more than 1,000 matches played on the R48 tour!